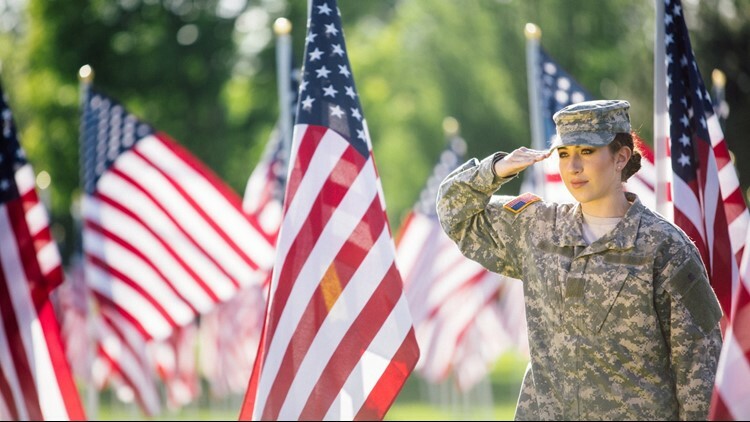 One day after Memorial Day, an effort to honor women veterans is moving forward after being introduced by a lawmaker from Muskegon. LANSING, Mich. -- State Rep. Terry Sabo (D - Muskegon) is pushing for June 15 to be declared Women Veterans Day in Michigan. He introduced a resolution to do just that back on May 9. Since then, HR 336 has gained support from both Democrats and Republicans in the House, including fellow West Michigan representative Winnie Brinks (D - Grand Rapids). On Tuesday, May 29, the resolution is being considered by the Committee on Military and Veterans Affairs. Rep. Sabo's office called 13 ON YOUR SIDE to clarify that measure is symbolic in nature and that if the resolution passes, women veterans will still be honored on the traditional Veterans Day as well. According to the measure, two million women veterans live in the U.S. and Puerto Rico and 44,000 of those women call Michigan home.